University of Tennessee Volunteers football news and coverage from SEC12.com. The Tennessee Volunteers football team is one of the most successful NCAA Division I college football programs. The Vols rank in the top 10 nationally in college football victories. The Volunteers program boasts several All-American football players and coaches. The University of Tennessee is also famous for its unique traditions, such as the orange and white checkerboard end zones. Tennessee competes in the Southeastern Conference Eastern Division. The Tennessee Volunteers football team won the 1998 BCS National Championship Game and finished the season as the undisputed #1 team in the nation. 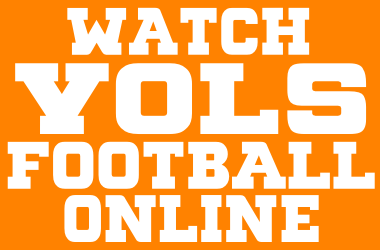 The official home of the Tennessee Volunteers football team is UTSports.com. Jeremy Pruitt is the head football coach of the University of Tennessee Volunteers. The University of Tennessee, also known as UTK and UT, is a public, co-educational, land-grant university located in Knoxville, Tennessee. Founded in 1794, the University of Tennessee has an enrollment of 28,552 students. The University of Tennessee official academic website can be found at utk.edu. UTSports.com has an expansive collection of UT Vols travel and parking information, Vols Gameday activities, Neyland Stadium parking and seating maps, and the general policy of UT Vols football weekends. The Tennessee Volunteers home football stadium, Neyland Stadium, opened in 1928. Neyland Stadium is the largest football stadium in the Southeastern Conference. Neyland Stadium currently has an official capacity of 102,037. The most popular message board forums for Tennessee Volunteers football are VolNation.com, Inside Tennessee, and Vol Quest. Rocky Top Talk…The Second Best Way to Watch a Vols Football Game. Losers With Socks…Popular UT Vols Blog. VolQuest.com…Member of the Rivals.com network. Inside Tennessee…Member of the Scout.com network. UT Vols…News and opinion from the University of Tennessee. Voluminous…Covering UT Football, Basketball, and SEC Sports. Go Vols Xtra…UT Vols sports news coverage. Daily Beacon…Official University of Tennessee student newspaper. Knoxville News Sentinel… Local Vols athletics coverage.